We’re getting closer to Super Bowl XLIX but the issues aren’t changing: The Seattle Seahawks get to sit back and enjoy the New England Patriots with a special focus on Tom Brady and Bill Belichick finding it impossible to move on from the deflated balls scandal. Richard Sherman is enjoying this. There are the usual questions trying to coax an arrogant replay from him about himself and his team, but Sherman knows how to handle press conferences, and because he had something to say about the Patriots, referring or hinting to them as a cheating team that won’t be punished because of Roger Goodell being very close to owner Robert Kraft, that is what resonates the most from what he had to say. Overall, it seems disciplinary actions are taking center stage. Not just the continuous noise around the Patriots and the deflated balls, but also the league threatning to penalize the Seahawks in the game with yards if Marshawn Lynch carries on celebrating by grabbing his crotch after touchdowns. They see fines aren’t working, but the league had no problem selling memorabilia of Lynch doing that gesture before someone pointed the hypocrisy and the league took that item off sale. So this is what’s generating noise right now, and maybe it’s has something to do with the league trying to generate interest. After all, there are hardly any new faces or interesting, touching stories to grab center stage. Both teams are considered villainous in the whole NFL good vs bad story line that always finds someone to be the bad guy in sports. The Seahawks were here just last season. There’s not a lot new to say about them reaching it again in terms of finding gems among its now mostly known players. The NFL still hasn’t talked to Tom Brady about the controversial deflated balls scandal, and Brady thinks they’ll only approach him after the season. Meanwhile, the whole Bill Belichick scientific explanation regarding the deflated balls seems to be torn down by non other than Bill Nye, the science guy. So are there still things we don’t know? Was there actual wrongdoing by someone on the Patriots? 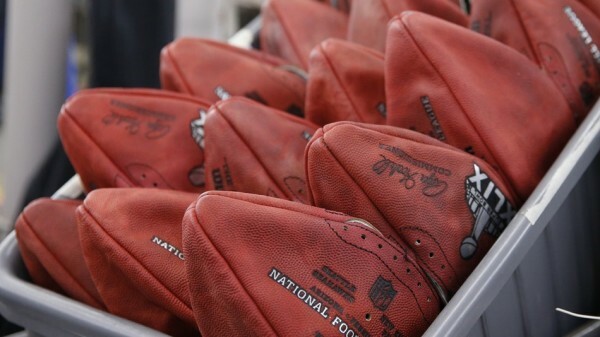 And is there any chance Brady didn’t notice the balls feeling different through the first half? The questions won’t stop, probably never will. The NFL could have made it a quieter, less blatant issue and let everyone focus on less allegedly illegal stuff. But there’s the constant nagging feeling that something is still hidden beneath the surface, even if the bottom line is that the Patriots would have beaten the Colts quite easily either way, especially since their dominant patch in this game came in the second half, after the officials were aware of the deflation. Whatever the findings of the league may be, the interesting question more than anything else will be whether the Patriots were affected by the ruckus or not. The Seahawks seem to be a side story in all of this until ESPN and those following the network decide it’s over. Maybe the Patriots are mentally tough from years of being under the microscope, but there’s no doubt that not having this kind of thing weighing down on you makes it easier to prepare for the Super Bowl.